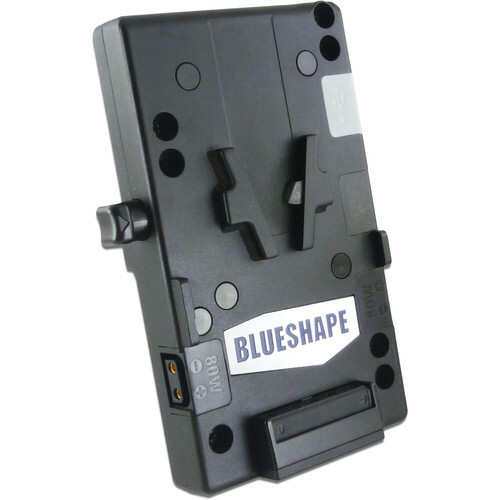 The MVAM ARRI AMIRA Multi-Power Plate from BLUESHAPE is a multi-power battery adapter plate designed for the ARRI AMIRA Digital Camera. It enables battery data communication between BLUESHAPE V-lock batteries and the ARRI AMIRA Digital Camera for precise power status reporting. Fully casted in metal for maximum strength and reliability, this plate has two D-tap power outlets synchronized with the camera operations, and an additional USB output that charges smartphones, tablets, remote controls, and other devices. The metal body fits the back of the camera and needs to be installed with the included screws.